يحظى فندق أشورد أسكوت كوايز للشقق الفندقية بمكان متميز في محور برث الأعمال في منطقة مطار بيرث الفاتنة. يسهل الوصول إلى هذا الفندق ذو 4.5 نجوم من المطار، فهو يبعد عنه مسافة 4 km فقط. بالنسبة لمن يريد الخروج، هذه بعض المعالم السياحية المتوفرة للزوار ترانبي هاوس, Tekno-Medical Australia Pty Ltd, Kennedys Honey. كما يقدم أشورد أسكوت كوايز للشقق الفندقية الكثير من الخدمات لإغناء رحلتك في برث. هذه بعض الخدمات الموجودة في هذا الفندق: خدمة الغرف على مدار الساعة, واي فاي مجاني في جميع الغرف, مرافق مخصصة لذوي الاحتياجات الخاصة, تخزين الأمتعة, واي فاي في المناطق العامة. في أشورد أسكوت كوايز للشقق الفندقية غرف نوم يزيد عددها عن 68 صممت بذوق وعناية لتوفر لك كل وسائل الراحة . بعضها يحتوي أضاً على تلفزيون بشاشة مسطحة, اتصال لاسلكي بالإنترنت, اتصال لاسلكي بشبكة الإنترنت (مجاني), حوض الاسترخاء, غرف لغير المدخنين. يمكنك طلب اللائحة الكاملة للخدمات في الفندق ومن بينها مركز للياقة البدنية, مسار جولف - ضمن 3 كم, حمام سباحة خارجي, تدليك, حديقة. مهما كانت أسبابك لزيارة برث، فإن أشورد أسكوت كوايز للشقق الفندقية هو الخيار الأفضل لإقامة مثيرة وممتعة. مكتب الاستقبال مفتوح من الساعة 06:00 صباحًا إلى 12:30 مساءً. يجب على النزلاء الذين سيصلون في وقتٍ آخر غير الأوقات المذكورة أن يتصلوا بالعقار مباشرةً قبيل وصولهم؛ وذلك حتى يمكن إجراء ترتيبات بديلة. This is great feedback, and fantastic to hear. Thank You. We are glad you have had a fantastic trip. Thanks Lee, we look forward to meeting you again. 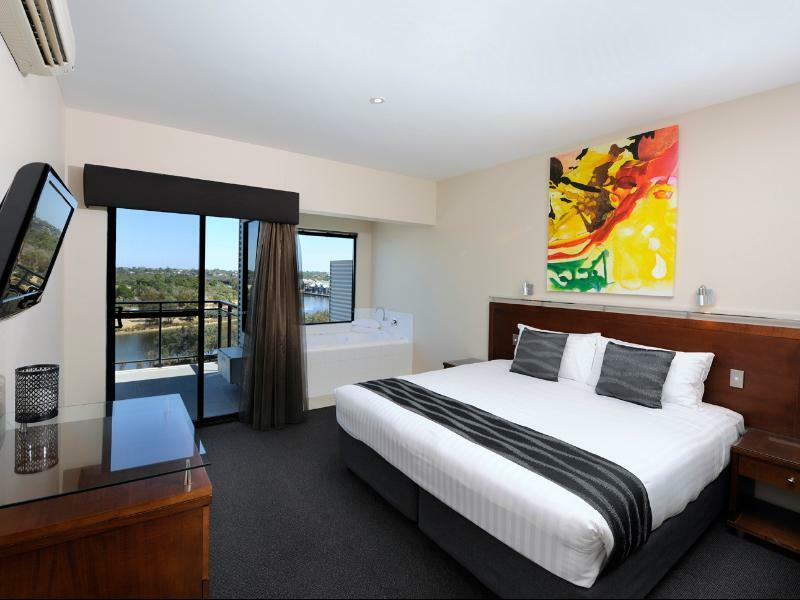 Me and my partner stayed in the 2 bdrm premium suite for the weekend and we're both super happy we chose to come stay here, firm but comfy king beds, giant balcony, perfect for hosting friends while in the city, gorgeous jet spa baths overlooking the Swan River and impeccable cleanliness in our room. They offer a free continental breakfast but it's also not too far from the city for dining out, or the attrium or the epicurean buffets if your chasing buffet style. The staff were helpful, friendly and attentive. We only stayed for the weekend and they don't offer a turn down service during the weekend which was a bit disappointing as I personally love getting spoilt by the turn down service while staying away, so I can't say what that was like but judging by the suite when we arrived I'm sure they would definitely be up to par. Over all, I'm glad we chose this hotel and upgraded to the premium suite, as it's well worth its value. We'll definitely be returning for our next visit in Perth. Thank you for your great comments. We look forward to receiving you back again in the future. Room is spacious and clean. Well equipped with washing machine, dryer and kitchen utensils. Only set back is the poor drainage system in the bath room. The entire floor was flooded with water after shower. Thank you for your comments Tam, we are glad you enjoyed your stay. We may see you again, safe travels. No room service during weekends, quite annoyed with that though, need to get clean towels by myself from the counter during my 3 nights of weekends stays, other than that all are good, love the apartment with a nice view balcony overlooking the park and lake. Spacious and comfortable. Our family of three stayed here for two nights at the end of a big week of travel. The location was handy to the city, our friends in Guildford, the rental car company and the airport. 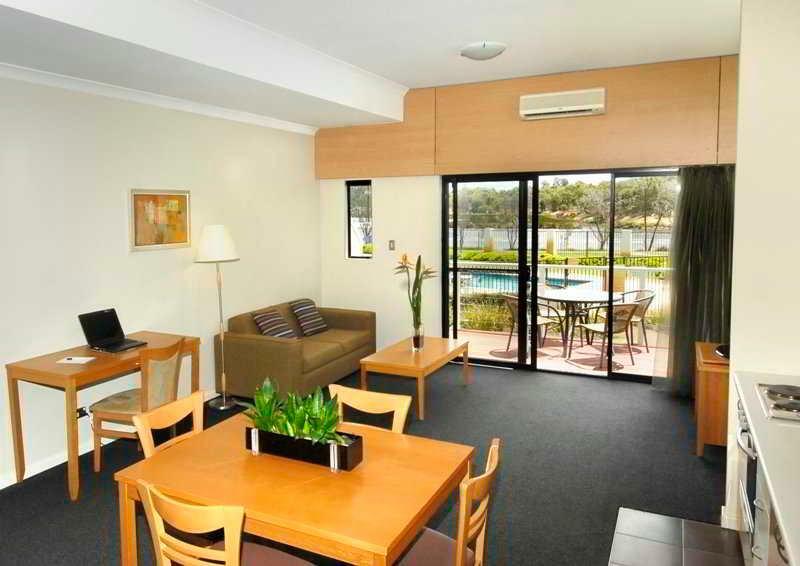 We had a 2 bdrm apt on the 5th floor overlooking the Swan River and the pool area with a balcony which was lovely, Amenities were very good as were the staff we dealt with. There were a few signs of wear and tear and the laundry area probably needs a screen but otherwise, for us, it was a perfect stay. We are very glad you enjoyed your stay Rob. We look forward to seeing you again. We stayed for 2 nights. Location was good and it provided free parking. 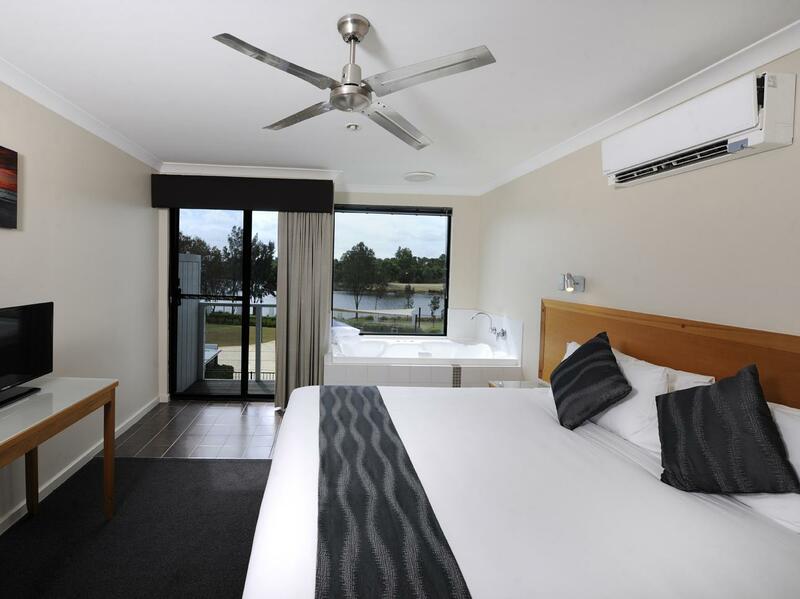 Perth City and Swan Valley was just a short drive away (15-20 minutes). 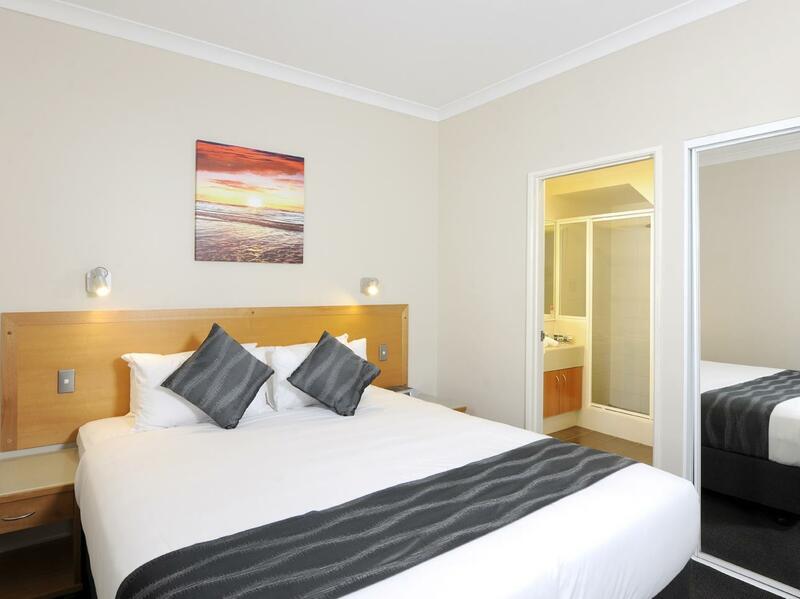 Perth Airport and Belmont Forum Shopping Mall was just 10 minutes away. Overall a good base to explore Perth. Highly recommended. We hope you loved your trip to Perth, and enjoyed your stay. Thank you for your great comments, and we look forward to seeing you and your family again. 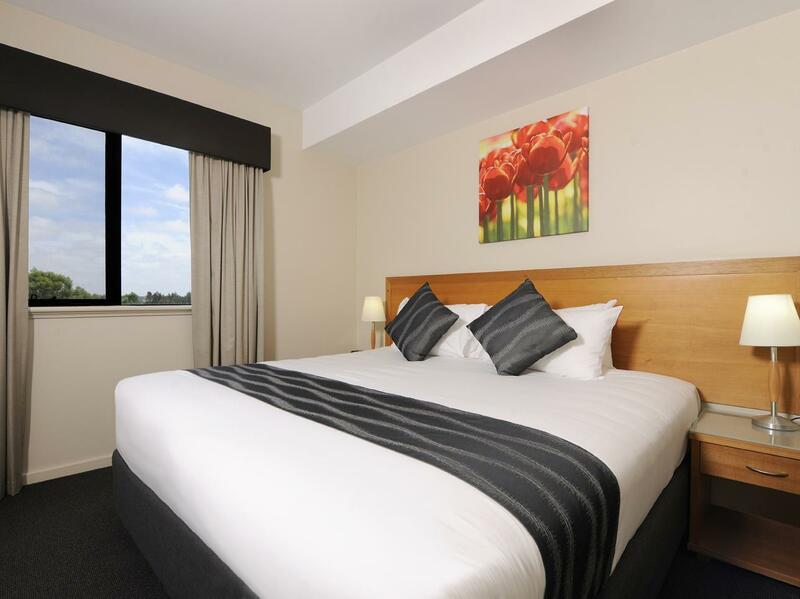 We have stayed at Ascot Quays many times. We were in a handicap room which is an issue with young children as the bathroom floods and the roll away bed that was ordered and paid for was not provided but otherwise the hotel, location and value for money is great. Fantastic customer service. We stayed in the Premium Suite and had a lovely stay. Suite was clean and well maintained. Spa baths in the bedrooms looked out to the city - lovely view at night time. Pool area had ample seating. The view from the 6th floor was amazing. Will definitely return. Thanks again. Hi Brendon, yes this is disappointing behaviour from your upper neighbour, our night caretakers are usually pretty quick to shut down noise issues overnight. Im glad overall you enjoyed your stay. The toilet design is bad. With only 1 toilet in such 2-rm apartment that can accommodate 5 pax, the toilet bowl should be in a separate rm and the shower area should be properlly partion to prevent messing up the whole toilet. Had to extend our stay by 4 days due to an emergency, and of course prices had sky rocketed. Thankfully booking through Agoda we got a much better deal. The hotel however did upgrade us to a bigger room free of charge to allow us to swap rooms without waiting for check in. Glad to hear your feedback Nicki, Thank You. 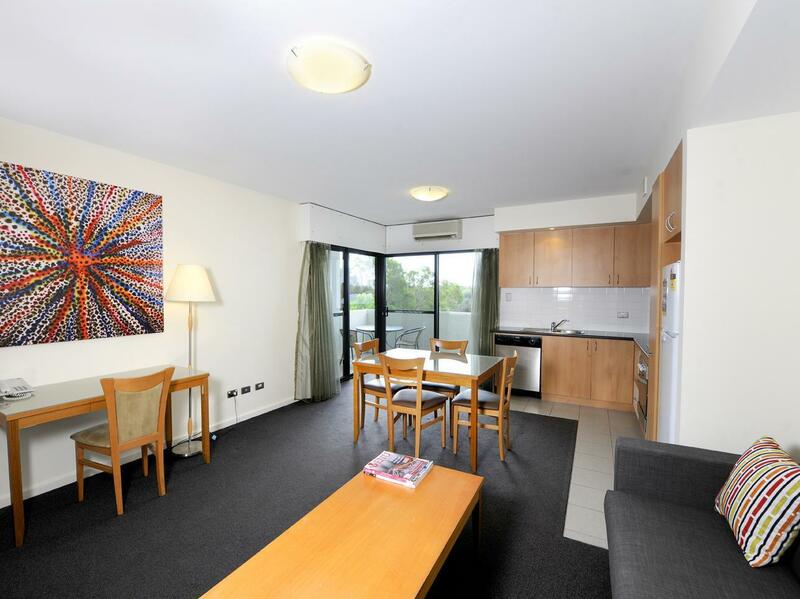 The apartment is spacious and clean, make us feel very relax and good resting. We enjoy taking a leisure walk near the river side path, good food/restaurants within short driving distance. We will love to come back here to stay a bit longer. Thank you for staying with us, We appreciate your feedback regarding your stay and the property itself. Hopefully we will get the opportunity to welcome you back to Assured Ascot Quays in the not too distant future. Thank you for taking the time to review us Teresa. Yes - you apartment was accessible (not all rooms like that) so didnt have a shower screen, but a shower curtain. Of course we have staff here every day. We are a serviced apartment business however, and do not offer 24 hour housekeeping like 5 star hotels do. Housekeeping can be booked over the weekend if required by guests, so perhaps next time you stay you may wish to purchase this for weekends? We hope to see you next time. Was happy about the continental breakfast but not impressed no restaurant for dinner ! HI Bevan, we have 2 restaurants to choose from locally just 700m walk with corporate account facilities. Otherwise paying at the restaurant is required. Also, we have over 6 local restaurants deliver to us now using the Uber menu. Please feel free to give any of these options a try when next staying. Being that we are a a self-contained serviced apartments business, our self-serve clientelle tended to prefer to use their kitchen facilities and local food delivery for more choice. Im sorry our facilities were not what you were expecting. The place is along the Swan River. Can bring kids for a walk along the river. 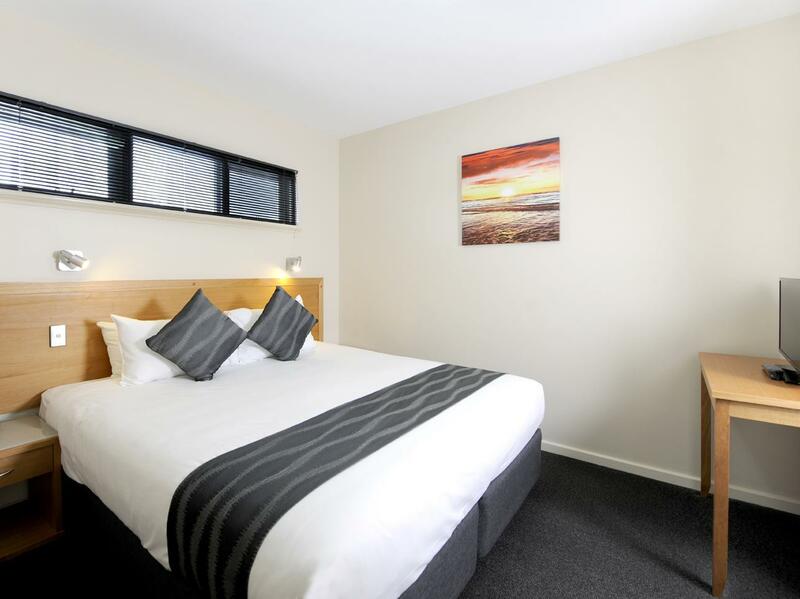 The room is fully equipped modern amenities and kitchen is ready for cooking. 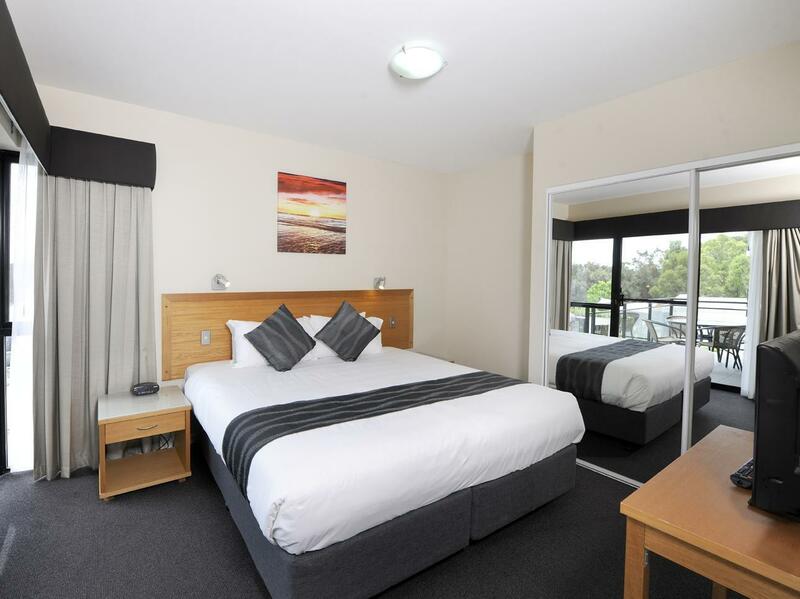 Large rooms, well equipped and very clean. Was pleasantly surprised with the apartment we stayed in. 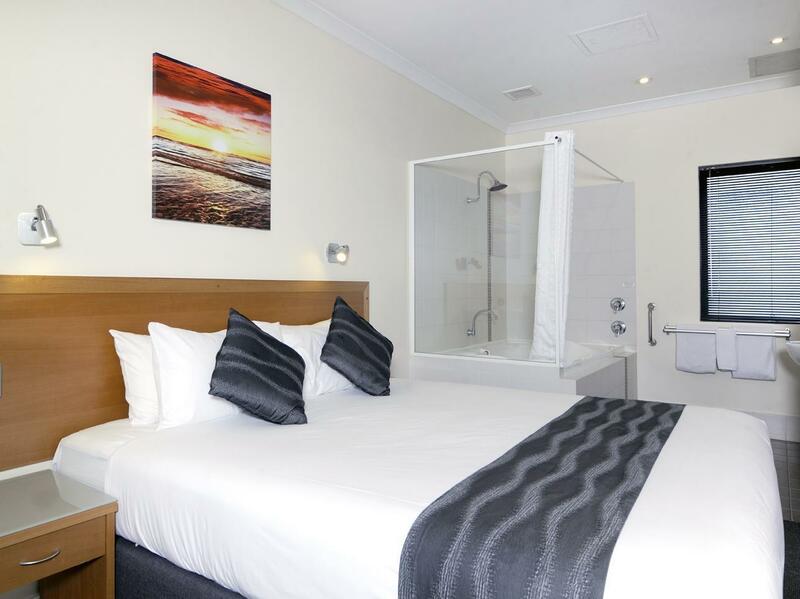 It is very spacious, large rooms and bathrooms. Well kept and very clean with a fully equipped kitchen. Will definitely stay here again and will recommend to friends and family. We have stayed here previously & thoroughly enjoyed it. We had to stay in a different room type but was equally as good. Would thoroughly recommend to all travellers. The only negative is the road works at the moment which made it very difficult for access, but this is no fault of the hotels. Decent apartment with friendly service staff who attends to your needs. Service staff knew we are on an early morning flight and are kind enough to ask if we need a wake up call and also offered to reserve a taxi for us if we had not done so. Only 15 min drive to the airport. Extremely good if on an early morning or late night flight.